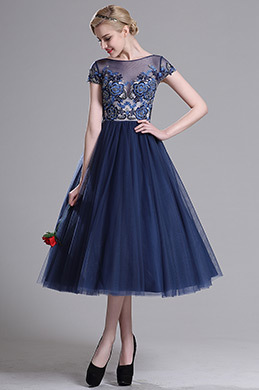 Whenever you want a female glamour sense, Beaded charming Off Shoulder Cocktail Party Dress can meet your needs. They are shining and attractive at any party occasions. As you can see, these dresses are available in various styles, necklines, sleeves and also details. Those A-line prom dresses are flowy and classic to make one different and lovely. Also we design trumpet evening dresses, which are really popular in recent market. Such dresses are easy walking, elegant, and also balance the body figure well. Every woman likes such dresses. These Beaded 2019 charming Off Shoulder Cocktail Party Dress are indeed your ideal choices for no matter wedding occasions, dating, homecoming, graduation, or a black-tie gala. eDressit always offers high-end dresses, super service and fashion delivery. You should not miss out the dress you love.